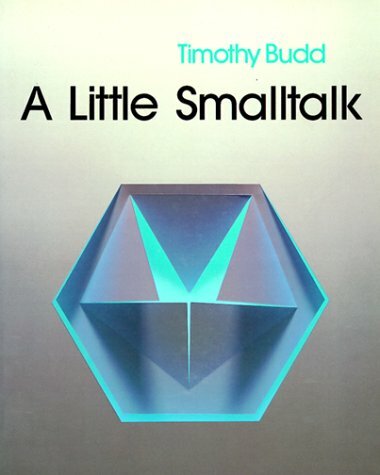 Budd's introduction to Smalltalk programming and the Little Smalltalk interpreter focuses on elementary, rather than advanced topics of object-oriented programming. The Little Smalltalk system runs under the UNIX operating system and can be executed on conventional terminals. This textbook introduces concepts of object-oriented software development and the programming language Smalltalk. The text covers OO concepts, OO application development, Smalltalk programming environment, base classes, and elements of style. This book is specifically aimed at people who are interested in learning to build real-world applications using Smalltalk/V. It also includes a bit of refresher material that extends some of the information in the Smalltalk/V tutorial as well. This practical book provides an effective introduction to programming in Smalltalk, and explains the most efficient ways to think about and work with the system. The demystifies the transition from conventional programming to Smalltalk. An introduction to object-orientation for 2nd, 3rd and 4th year computer science and software engineering students or those actively involved in the software industry. John Hunt adopts a 'hands on' approach providing a thorough introduction to O-O.